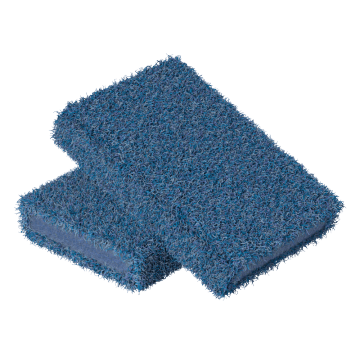 Apply consistent pressure when manually sanding using these cushioned, easy-to-handle sanding sponges. They are thicker than sanding pads and sandpaper but can still flex to conform to curved surfaces and corners. Wet the sponges before sanding to reduce dust and then rinse to reuse for other sanding jobs. Common applications include removing sealer, repairing primer, and sanding intricate shapes. Use them on a variety of surfaces such as wood, metal, and plastic. 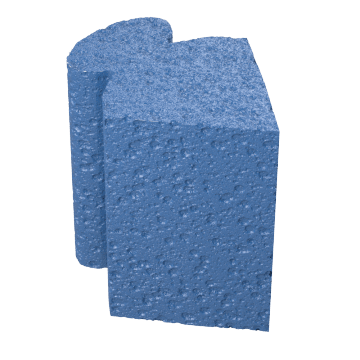 Made of thick flexible foam, these versatile sanding sponges can be used on flat, contoured, or irregularly shaped surfaces. They are clog resistant and won't fold or buckle during use, resulting in an even pattern without scratching. 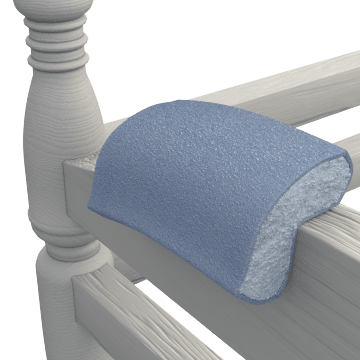 More flexible than angled or corner sanding sponges, these thin sponges conform to get into hard-to-reach spaces, such as the internal contours of workpieces and around the outside surfaces of curved objects like spindles and railings. Fit these sharp-angled sponges into crevices and corners to get a sharper, more precise finish than standard rectangular sponges. 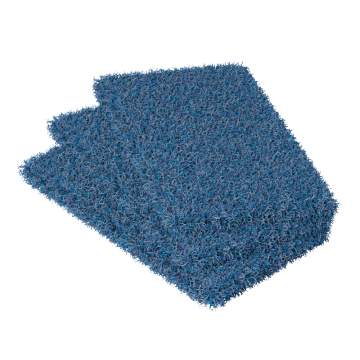 These angled sanding sponges can be used on metals, wood, drywall, furniture, and other applications requiring detailed sanding. 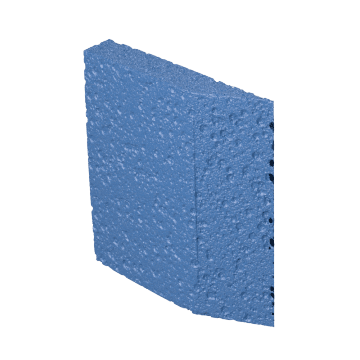 Sand corners of long, intersecting drywall quicker and more comfortably than with standard rectangular or angled sponges using these specialty sponges. They have abrasive grit on both sides of the triangular sanding face to create precise corners and a built-in handle for easy handling.